Two crops of fruit in one year makes this blueberry special. Expect to see medium to large fruit in summer and then again in fall. When mature, will produce 15 pounds of berries per plant. Fruits in late spring or early summer and again in fall! Requires full sun; cold tolerant. 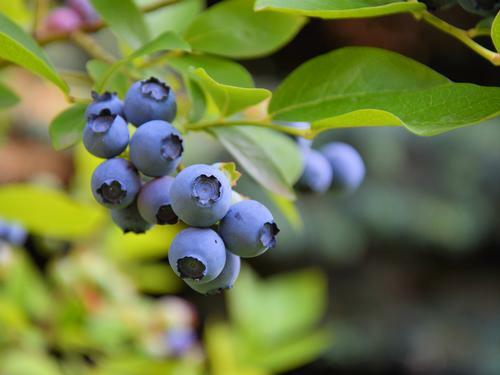 Blueberries are very popular in home gardens because they can grow in a small space, even in containers. Most blueberries will produce a small harvest by their 3rd year, bot won't really begin to produce fully until about their 6th year. Blueberries are a large species of flowering and fruiting shrubs, that are native to North America.